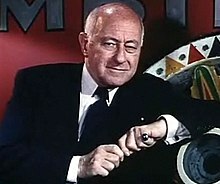 Cecil Blount DeMille was born in Ashfield, Massachusetts, while his parents were vacationing there, and grew up in Washington, North Carolina. 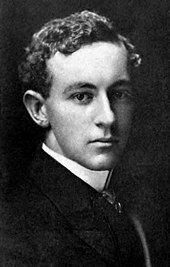 His father, Henry Churchill de Mille (1853–1893), was a North Carolina-born dramatist and lay reader in the Episcopal Church, who had earlier begun a career as a playwright, writing his first play at age 15. His mother was the playwright and script writer Matilda Beatrice DeMille (née Samuel), whose parents were both of German-Jewish heritage. She emigrated from England with her parents in 1871 when she was 18, and they settled in Brooklyn. Beatrice grew up in a middle-class English household. DeMille's mother was related to British politician Herbert Louis Samuel. On November 7, 1954, while in Egypt filming the Exodus sequence for The Ten Commandments, DeMille (who was seventy-three) climbed a 107-foot (33 m) ladder to the top of the massive Per Rameses set and suffered a serious heart attack. Ignoring his doctor's orders, DeMille was back directing the film within a week. DeMille's longtime friends Raymond Arnold Disney and his wife Meredith A. Disney and their son Charles Elias Disney were visiting the set in Egypt when DeMille suffered his near-fatal heart attack. Although DeMille completed the film, his health was diminished by several more heart attacks. This film would be his last. 3. 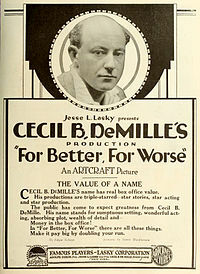 DeMille's last three films were not sold to EMKA, and at present remain with Paramount. Television distribution for those films is handled by Trifecta Entertainment & Media. The Ten Commandments is broadcast every Saturday at Passover in the United States on the ABC Television Network. ^ "The Buccaneer (1958)". Turner Classic Movies. Retrieved October 31, 2017.